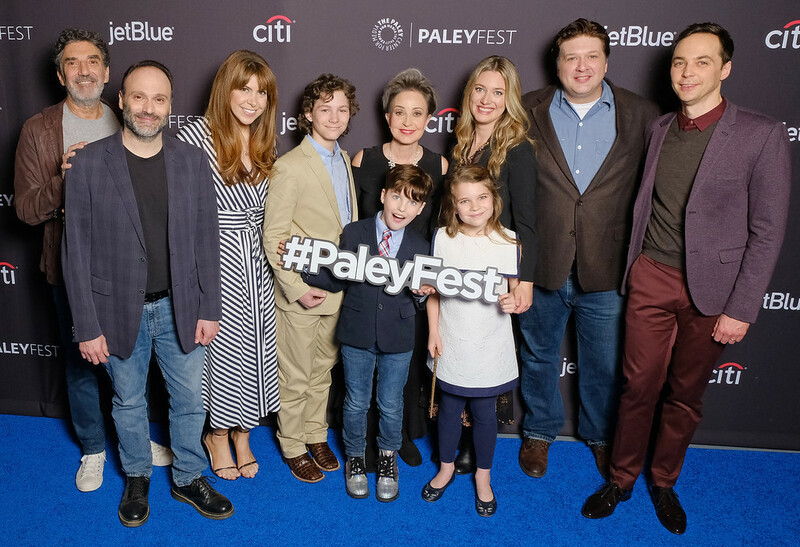 Last night at Hollywood's Dolby Theater, the 35th Annual PaleyFest presented two related panels, featuring the creators and stars of both the 11th season sitcom megahit The Big Bang Theory, and its freshman prequel Young Sheldon, which in its debut season ranks as the top new show on TV. As Young Sheldon stars Iain Armitage, Raegan Revord, Montana Jordan, Zoe Perry, Lance Barber and Jim Parsons also walked the blue carpet prior to the panel (expertly hosted by Glamour's Jessica Radloff), I was most excited to talk with Annie Potts, who of course had already portrayed one of the protypical Southern women on TV on the '80s-'90s CBS sitcom Designing Women, and now was playing a slightly older model as Memaw on Young Sheldon. Ironically, Young Sheldon is set in the late '80s, when Designing Women was one of the sitcoms ruling CBS' airwaves. During the panel, the cast was even asked if Raegan's character Missy, always parked in front of the TV, might end up watching Designing Women, but the show's creators, Steve Molaro and Chuck Lorre, and particularly Annie, think that might be too bizarre. But clearly, with the return of Will & Grace and the impending returns of Roseanne and CBS' own Murphy Brown, the idea of somehow rebooting Designing Women is in the air. In fact, when I asked Annie if she had any interest in a Designing Women reboot, she noted that someone earlier on the carpet had already asked the same thing. So, would Annie like to juggle her current role as Memaw with a reprise of her beloved Mary Jo Shively? "Yes, I would," the actress immediately answered. "I'd love to! I don't know when I'd do it, but if Linda Bloodworth[-Thomason] wanted to write six episodes or something, that could be done during a hiatus period, yeah, I'd do that! Because I think it's important. Those were strong characters, and we got to say stuff that women haven't been able to say since. I mean, we took on Donald Trump long ago! We were speaking truth to power."